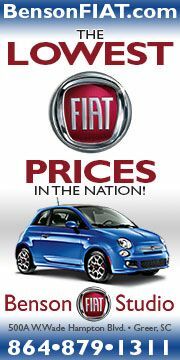 The 2012 Fiat 500 has earned the Insurance Institute for Highway Safety's Top Safety Pick rating. 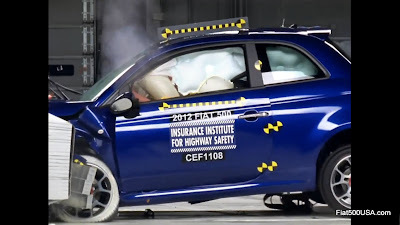 The Fiat 500's performance in front, side, rollover, and rear tests was rated as good, the highest score. 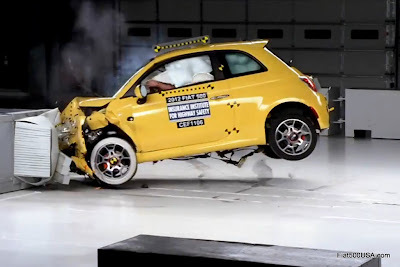 In the roll over test, the Fiat 500 scored the best in its class. The roof on the Fiat 500 can withstand 6 times its own weight in the test which is nearly twice the amount as a MINI can withstand. Restraints/dummy kinematics — Dummy movement appeared to be well controlled even though the driver door opened. The driver side curtain and side torso airbags deployed during the crash. During rebound, the dummy's head contacted the side curtain airbag. Injury measures — Measures taken from the neck and chest indicate low risk of injuries to these body regions in a crash of this severity. Forces on the head when the dummy hit the steering wheel through the frontal airbag indicate that head injuries would be possible. Forces on the right foot indicate that foot injuries would also be possible. *The good rating applies to cars built after July 2011. 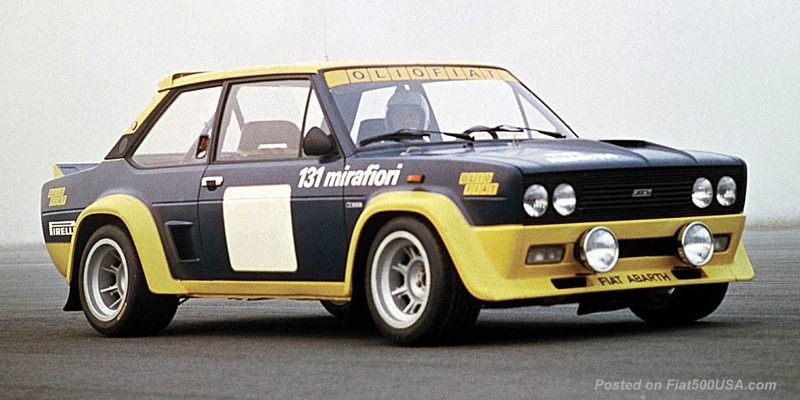 The Fiat 500 was tested twice. The first test indicated a cross tube in the driver's seat could possibly pull out, shift the seat and lessen the effectiveness of the airbag. 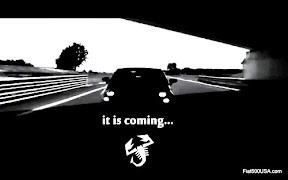 Chrysler/Fiat modified the seat structure to improve the performance in cars manufactured after July 2011. Driver — Measures taken from the dummy indicate that a fracture of the pelvis would be possible in a crash of this severity. Rear passenger — The dummy’s head was protected from being hit by any hard structures, including the intruding barrier, by a side curtain airbag that deployed from the roof. To measure roof strength, a metal plate is pushed against one corner of a vehicle's roof at a constant speed. The maximum force sustained by the roof before 5 inches of crush is compared to the vehicle's weight to find the strength-to-weight ratio. This is a good assessment of vehicle structural protection in rollover crashes. Vehicles only need a strength-to-weight ratio of 1.5 to meet the federal regulation. 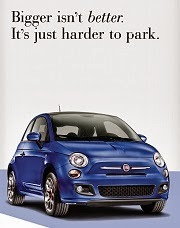 The Fiat 500 roof can withstand 6 times its weight. 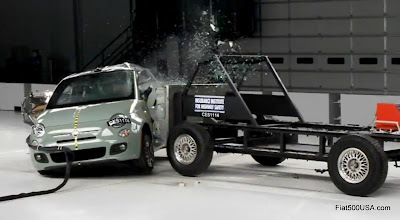 This is really good news on the crash safety of these little cars. Interesting on the retest, the driver's door opened after impact but the dummy still came out very well indeed. 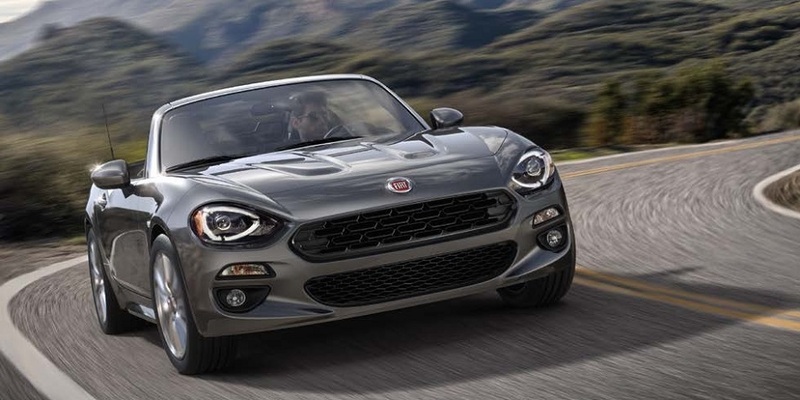 I wonder that since FIAT redesigned the seats, if they will take any corrective action for cars built prior to July. I've had issues with the seat sliders and the dealer has no idea what to do. 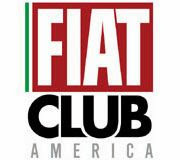 I would think that FIAT wants to be on good therms, good ratings, ESPECIALLY with those of us that purchased their 500 pre-July 2011, with TRUST and FAITH in FIAT. They ought to correct our seats if they are really serious about their come-back in the US. Yes -- this is a significant concern. Does any dealer have any info yet on a service bulletin being issued for repair or replacement of the seats/tracks? 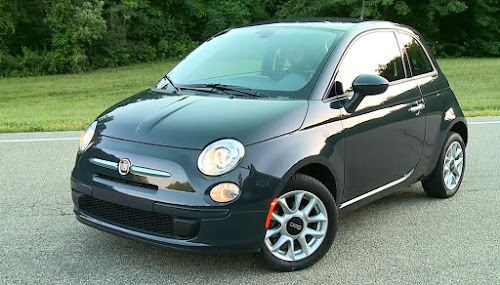 Obviously FIAT determined there was a flaw because there was a redesign starting in August 2011. So what will be offered for owners of the older vehicles?